Celebrity Accessory Designer, Stevie Boi aka SB Shades will show his first Men's collection; during S/S '18 Mens Fashion Week in New York City on July 12th 2017 at the Bernic Hotel. Stevie Boi who is a long-time supporter of Urban Fashion Sense, will feature Urban Fashion Sense client Jeff 2 Da Left's customized 'Lowrider "Goldie" Bike' as part of his Show/Pop-Up Shop. The show, sponsored by Spongelle, is in collaboration with Studs And Spikes and invitation only. See press release here for more info. 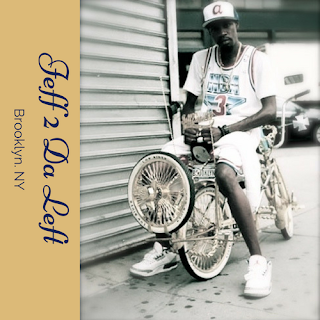 Urban Fashion Sense can be reached at PITCHFASH@GMAIL.COM for business inquiries regarding Jeff 2 Da Left's Lowrider Bike and/or other business interest.